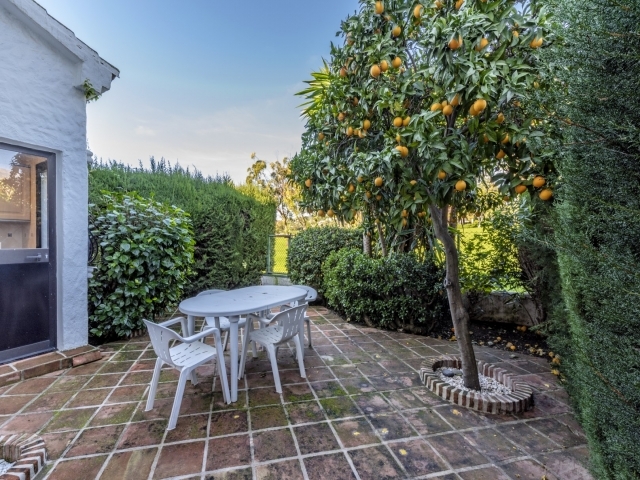 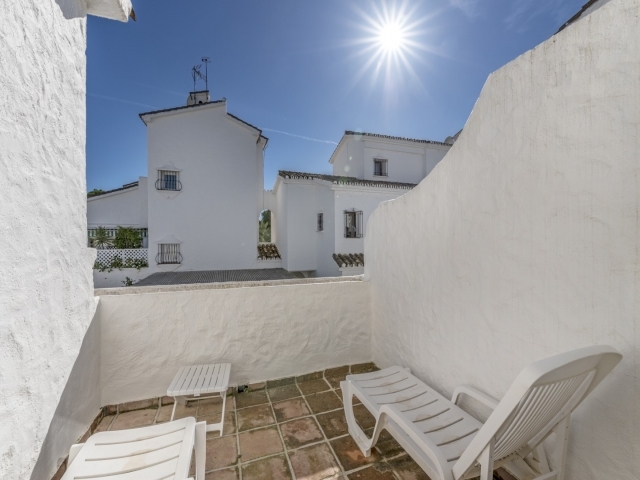 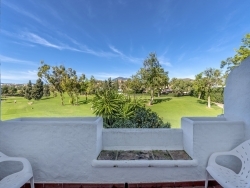 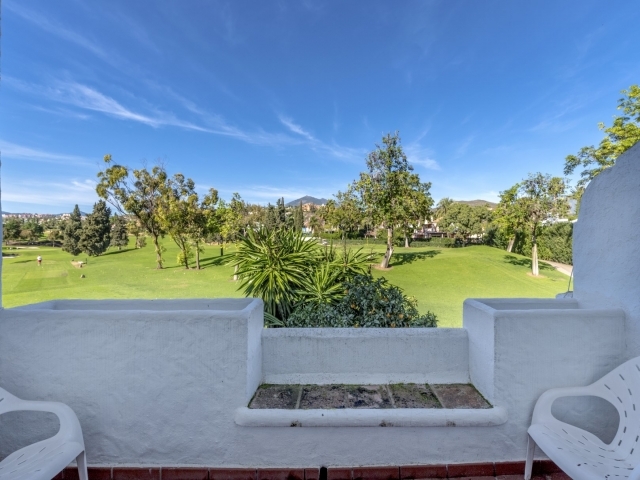 Los Naranjos Country Club is a delightful Andalucian style gated community of townhouses with beautiful, mature garden areas, two swimming pools, tennis and squash courts and a splendid location in The Golf Valley. 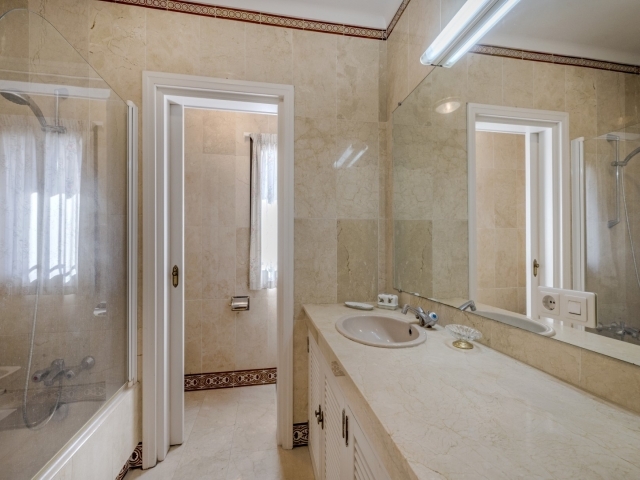 The house has 2 bedrooms with two bathrooms en-suite plus a guest toilet. Large living room with direct access to the terrace garden. 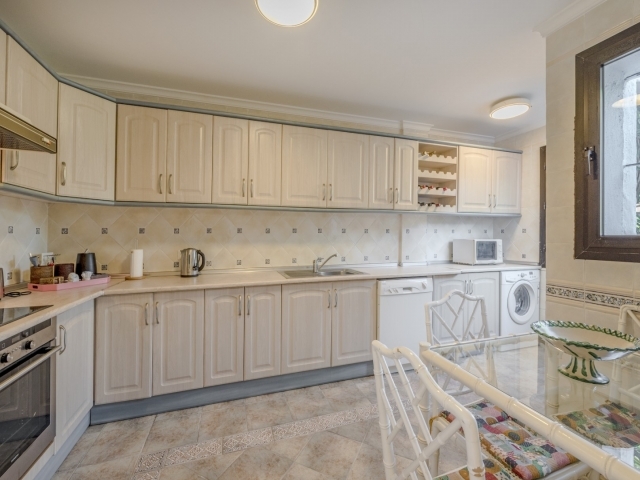 Good size fully equipped kitchen. 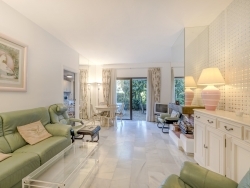 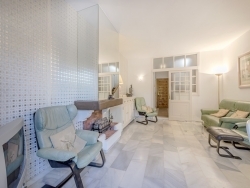 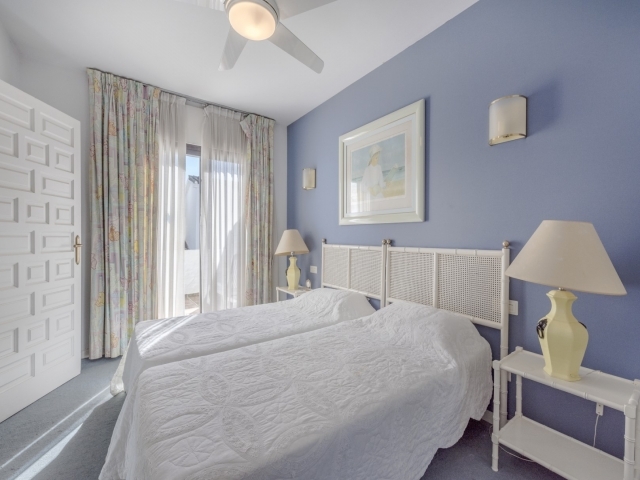 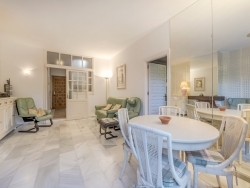 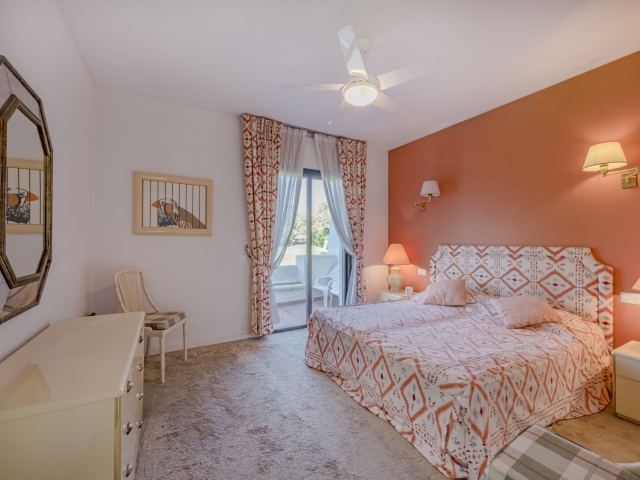 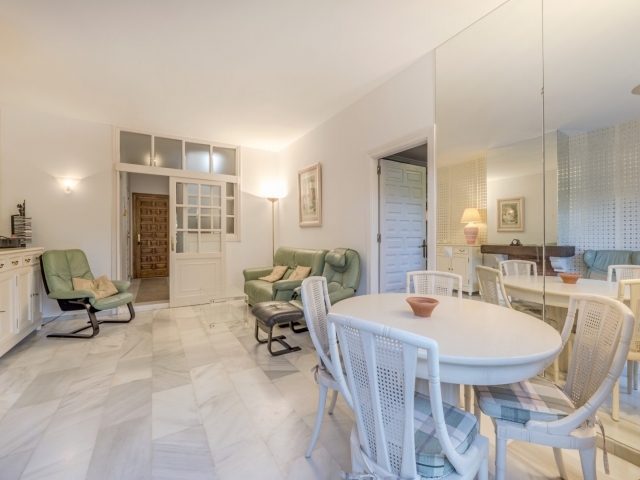 On the first floor, two bedrooms with integrated bathrooms and access to private terraces. 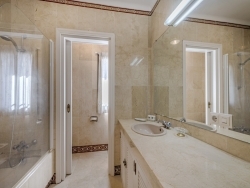 A private garage, which can easily be converted to a third bedroom and bathroom, and several storage areas.